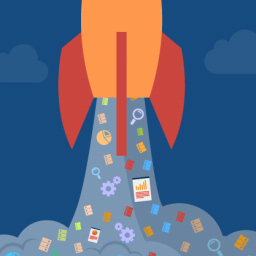 Syncfusion 2019 Volume 1 (version 17.1) release introduces exciting new features and improvements aimed at making document processing easier with its file-format libraries. Syncfusion’s file format libraries allow users to create, read, edit, and convert Excel, PDF, Word, and PowerPoint files in .NET applications without the need of Microsoft Office or Adobe dependencies. 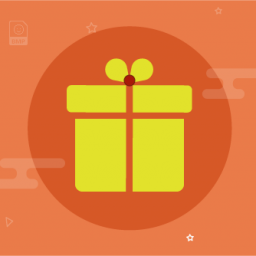 In this blog, we will describe in detail the newly added features and enhancements. ZUGFeRD is an electronic billing data format for exchanging invoices. It consists of two parts: a pictorial or textual representation of the invoice for human reading and machine-readable structured data. Therefore, it helps to automate the reading and processing of invoices. 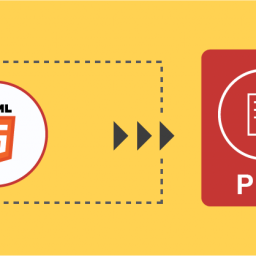 The machine-readable structured data in XML format is attached to the PDF/A-3 document. 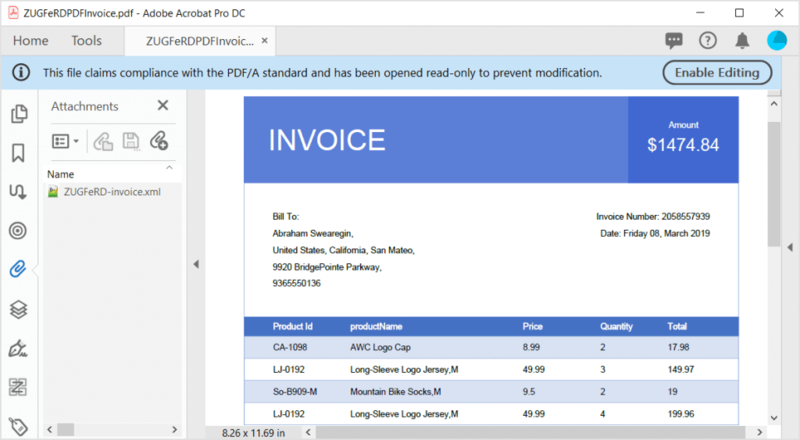 The Syncfusion PDF Library now supports creating ZUGFeRD PDF invoice documents. 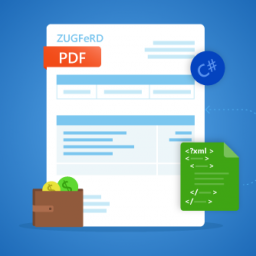 The following code example illustrates how to create a ZUGFeRD PDF invoice using Syncfusion PDF Library. // save and close the document. 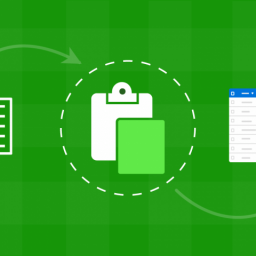 For more information on creating ZUGFeRD PDF invoices, please refer to our documentation page—Generating ZUGFeRD invoice. Syncfusion PDF Library already supports creating PDF/A-1b-conforming documents. In addition, you can create PDF document from scratch with conformance of PDF/A-2b (ISO 19005-2) and PDF/A-3b (ISO 19005-3), now. PDF/A-2b represents minimal compliance to ensure that the rendered visual appearance of the file is preservable long term. 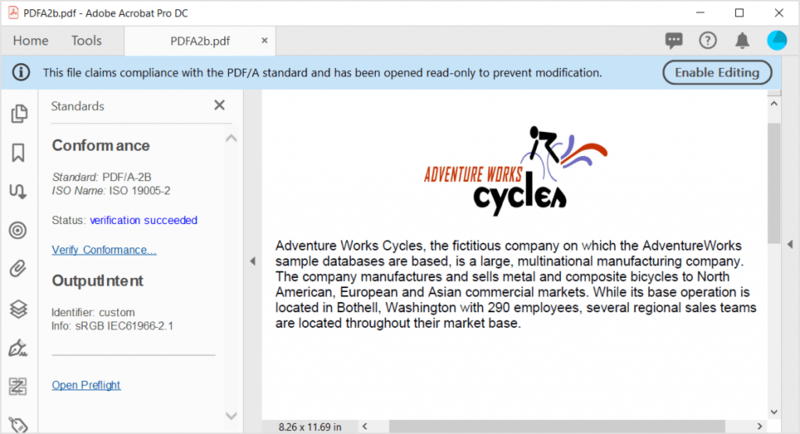 PDF/A-3b represents PDF/A-2b documents with file attachments. To learn more about PDF conformance, please refer to our documentation page—PDF Conformance. Syncfusion PDF Library already supports creating and filling XFA form fields in the .NET Framework. Now, that support extends to the .NET core platform, as well. 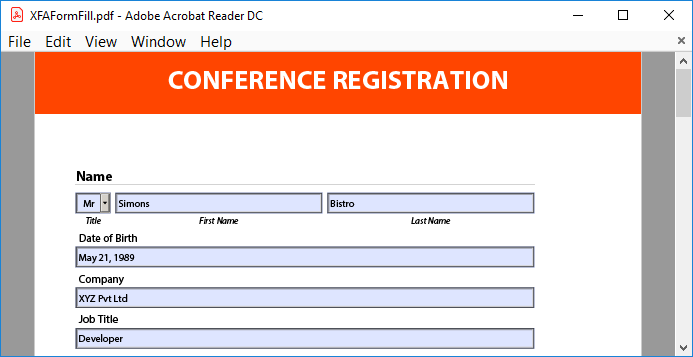 Using this, you can create rich-looking XFA forms and fill any XFA documents in .NET Core and Xamarin applications. The following code example shows how to fill XFA form fields in an existing PDF document. //Load the PDF file with XFA form as stream. //Loaded the existing XFA form. //Fill the XFA form fields. //save and close the document. To find further information about XFA creation and filling, please check our documentation page—Working with XFA. Syncfusion PDF Library let’s you retrieve annotation review status and comments from the reviewed PDF document. //Load the existing PDF document. //Get the existing PDF page. //Get the review history collection for the annotation. //Get the annotation state model. //Get the comments of the annotation. //Get the review history of the comment. FDF (Forms Data Format)/XFDF (XML based FDF) is a format for representing forms and annotations data. 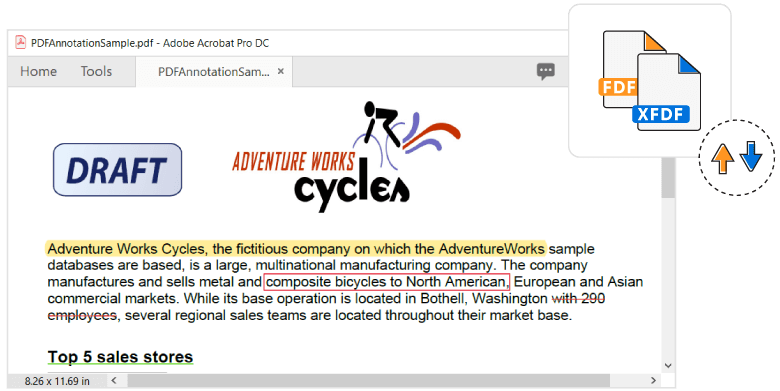 Annotations and their comments can be exported or imported from PDF documents. It will be easier for users to manipulate the annotations in a separate file or format. We have added support for importing and exporting annotation data to XFDF/FDF format. The following is a code example for exporting annotations to FDF and XFDF format. //Load an existing PDF document. //Export annotation to FDF format. //Import annotation data from FDF/XFDF file. The Syncfusion Excel Library (XlsIO) now supports converting an Excel chart to an image in .NET Core and Xamarin applications. All 2D and 3D charts can be converted, along with their elements such as chart titles, axis titles, data labels, and legends. The charts can be converted to JPEG and PNG. The following C# example shows how to convert an Excel chart to an image. //Instantiate the application and Excel renderer objects. 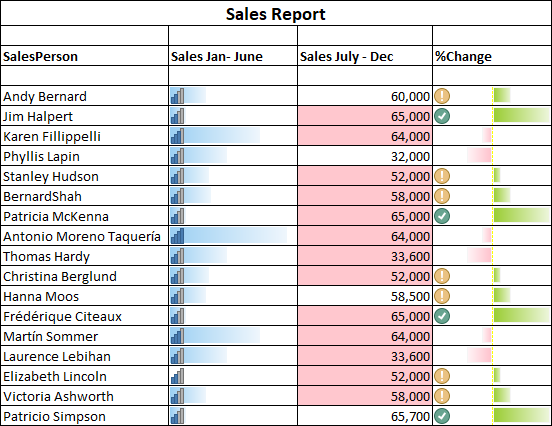 //Open an Excel file with chart. //Create the memory stream for saving chart image. All the 2D and 3D charts are preserved in the PDF document with .NET Core and Xamarin applications. 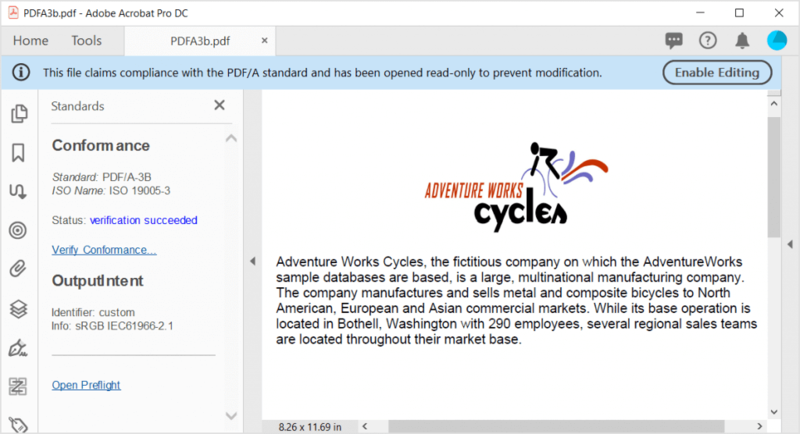 Convert Excel files to PDF with the PDF-A1B conformance standard in all the .NET applications. 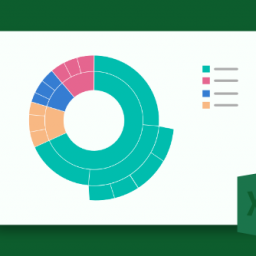 //Initialize the Excel renderer class to convert Excel charts with PDF conversion. 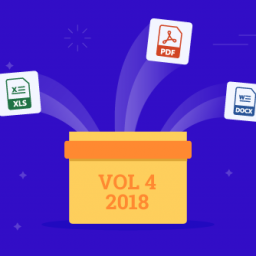 To know more about Excel-to-PDF conversion, please refer to our documentation pages—Excel-to-PDF conversion and convert Excel-to-PDF with conformance level. Syncfusion Excel Library has the support to apply formatting to Excel tables using built-in table styles. 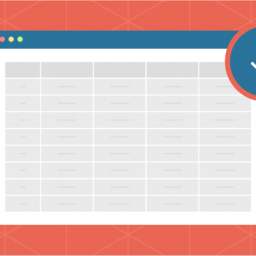 From this release, you can create your own table style and apply it to Excel tables, too. The following code example illustrates how to create a new table style and apply it. //Open an existing Excel file with data. //Create style for table number format. //Create and apply custom table style. 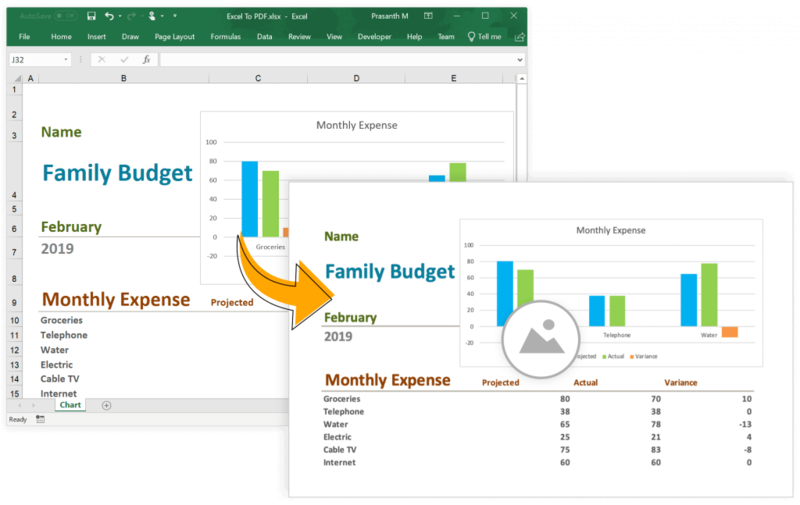 Now, Syncfusion Excel Library supports applying formatting for unique and duplicate values in Excel worksheets through conditional formatting. 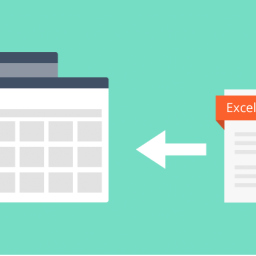 This conditional formatting enhancement is supported with Excel-to-PDF conversion, as well. //conditional format to choose single range. Preservation of 2D and 3D charts. Improvements in text-size calculation to paginate Word documents properly. Improvements in font retrieval and substitution. 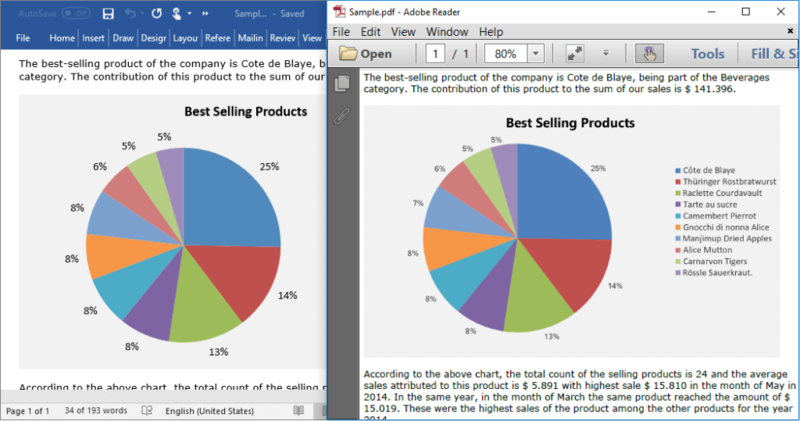 The following code example illustrates how to convert a Word document to PDF with charts in ASP.NET Core and Xamarin platforms. //Loads an existing Word document. //Instantiates DocIORenderer instance for Word-to-PDF conversion. //Set the chart-rendering options to export chart as PNG format image. //Converts Word document into PDF document. //Closes the instance of Word document object. //Releases the resources occupied by DocIORenderer instance. //Closes the instance of PDF document object. 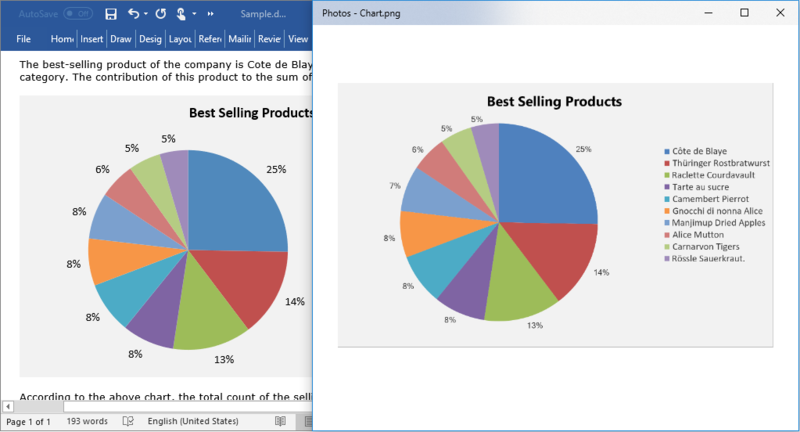 The charts in a Word document can be converted to JPEG or PNG images in .NET Core and Xamarin applications. All 2D and 3D charts can be converted along with their elements. //Sets chart-rendering options to export chart as PNG format image. //Converts chart to image and saves to stream. Specify the number of slides per PDF page with the ‘Handouts’ option. Convert slides with a notes pages to PDF. Embed fonts in a PowerPoint file into the converted PDF document to avoid font-related issues across different machines and different platforms. 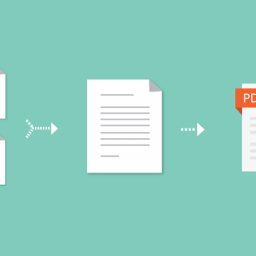 Convert a PowerPoint document to PDF with PDF-A1B conformance standards. Specify fallback fonts to be used in place of missing fonts. Skip or include hidden slides. Set the quality of images in the PowerPoint slides to reduce the converted PDF document size. The following code describes how to convert a PowerPoint file to PDF. //include these namespaces to perform PPTX-to-PDF conversion. //Loads the PowerPoint presentation into stream. //Open the existing PowerPoint presentation with loaded stream. //Create the MemoryStream to save the converted PDF. 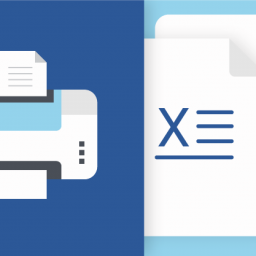 //Convert the PowerPoint document to a PDF document. //Save the converted PDF document to MemoryStream. //Create the output PDF file stream. //Copy the converted PDF stream into created output PDF stream. From this release (v17.1) onwards, a PowerPoint slide can be converted to an image (JPEG or PNG) in .NET Core and Xamarin applications. The following code shows how to convert a PowerPoint slide to an image. //Namespaces to perform PPTX-to-Image conversion. //Load the PowerPoint presentation into stream. //Open the existing PowerPoint presentation with stream. //Initialize the PresentationRenderer to perform image conversion. 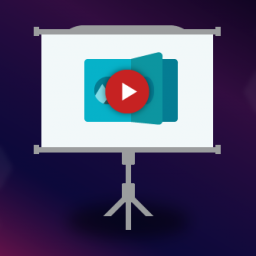 //Convert PowerPoint slide to image as stream. //Create the output image file stream. //Copy the converted image stream into created output stream. 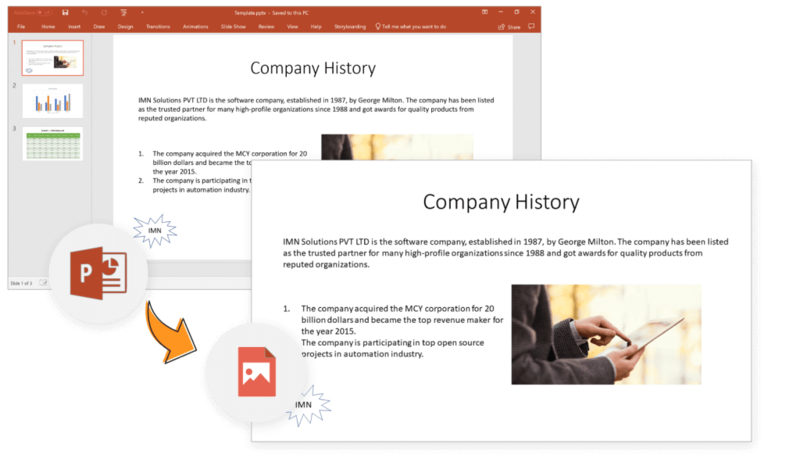 You can refer to our documentation pages for more information: PowerPoint-to-PDF conversion and PowerPoint-to-image conversion. We hope you’ll like these new features and enhancements included in the 2019 volume 1 release. If you’d like to play around with these new features yourself, please download the latest version from the license and downloads page. 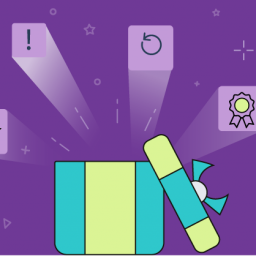 Or you can get our NuGet packages from NuGet.org. If you have any questions or require clarification on these features, please let us know in the comments below. 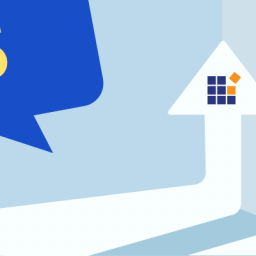 You can also contact us through our support forum or Direct-Trac. We are happy to assist you! Now your PDF documents are safer!